What is a MOXIEmaker? It’s a word I made up to mean somebody who has the guts and determination to inspire others to take initiative, be bold, and show their inner sass. A woman with the guts to be herself. Each month, I will honor a MOXIEmaker in my neighborhood. Which after traveling 60 countries and all 7 continents over the past 20+ years means the world. So, pack your bag and come away with me. 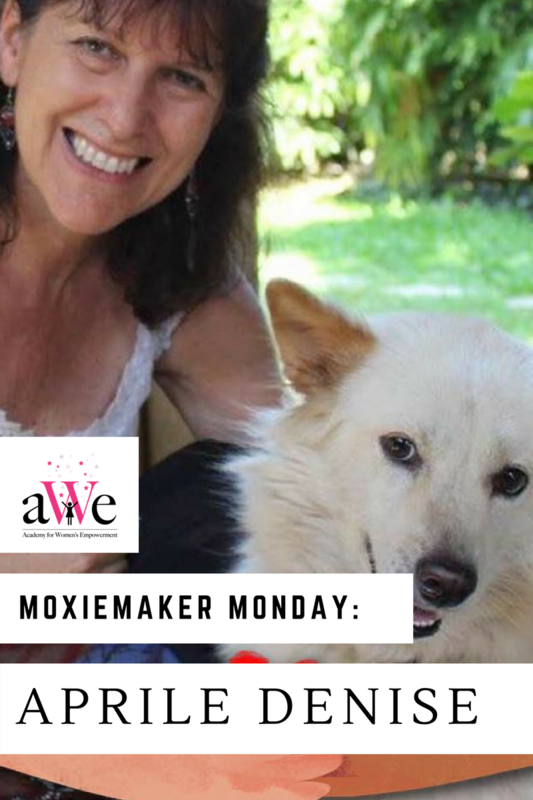 Meet MOXIEmakers around the world who have the guts to make good happen and hopefully will inspire you to MOXIEon too! The reading program she developed five years ago with her team of Indonesian writers, illustrators, and educators is in 13,000 schools around 9 provinces. Her small grew BIG fast. Room to Read and USAID have turned to Aprile and her team to transform literacy in Indonesia. She is turning hundreds of thousands of children into readers and leaders and their teachers into learners. She has now spent 3 years with the foundation Yayasan Literasi Anak Indonesia and 30 years in Indonesia. Aprile’s motto. A reading child becomes a learning adult. The love of reading as a child opens up worlds. Who does Aprile look up to? Sir Francis of Assisi, Thomas Merton and Thich Naht anh. These are some of her favorite Mystics and Wisdom Teachers. Aprile’s next MOXIEmove. She is making key decisions about what she’s going to do next with her hotel in Ubud, Alam Sari. She wants Alam Sari to be known as THE place of learning, a place to be creative and a place to find wellness.